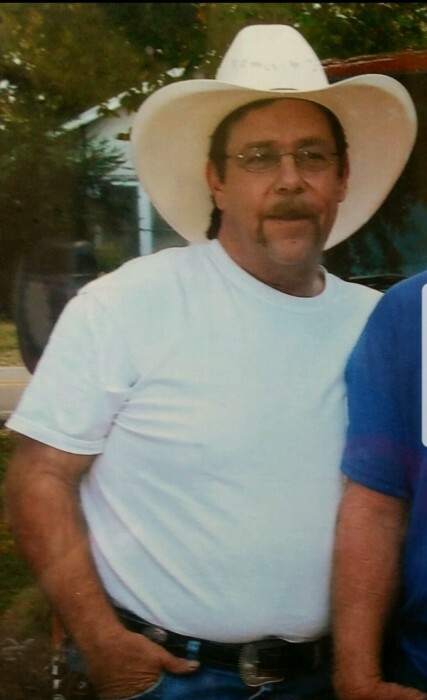 Pat Wayne Jones, age 60, passed away peacefully on Wednesday March 13, 2019 at his residence in Winnsboro, TX. He was born February 3, 1959 in Terrell, Texas to Douglas and Naomi “Mickey” (Wester) Jones. He is preceded in death by his father, mother and brother Charles Ray Jones. He is survived by his beloved wife of 25 years Linda Eaton; daughters, Casey (Bekka) Newland, Tanya (Ken) Beck and Lori (Johnny) Barber; nine grandchildren, brother Mike (Kathy) Jones and many nieces, nephews and friends. Pat spent most of his work life as a truck driver and enjoyed traveling, especially through the mountains in Washington State. He always said Snoqualmie Pass was the most beautiful place in the world. Once he retired, he spent his spare time as a volunteer firefighter for the Ogburn Fire Department. He had a strong passion for animals and will be extremely missed by his six fur babies. Memorial service will be held at 2:00 P.M. on April 6, 2019 at Big Woods Spring Lake, 828 PR 8692, Winnsboro, TX 75494.